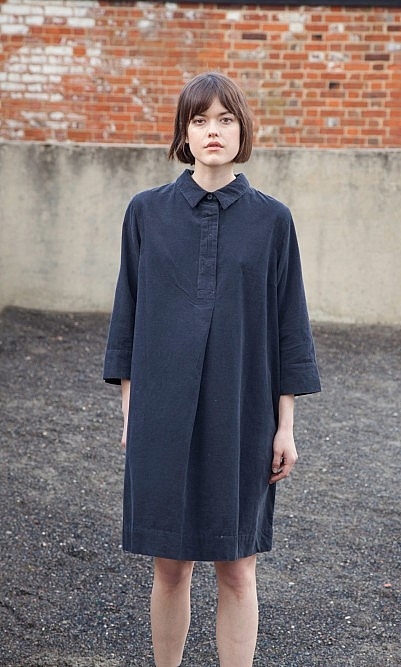 Needlecord shirtdress minimally detailed with point collars, straight sleeves and side seam pockets. 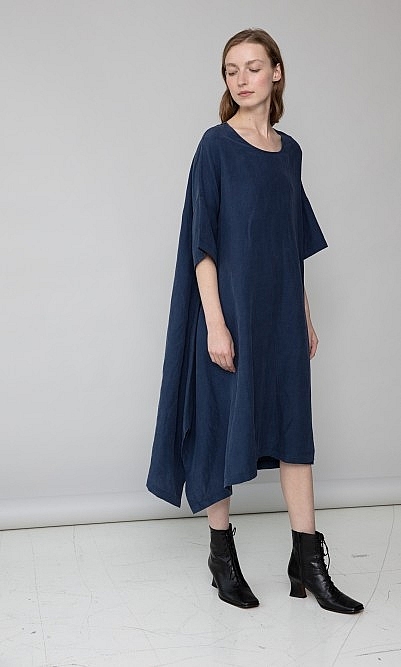 Inverted pleats back and front give it a soft A line shape. L92cm. Fabric and care: Cotton. Cool wash.